Littlesbus, as it was formally known, was founded in 1989 by retired teachers Iain and Kate Little. Starting with just one 16 seat mini-bus it soon became apparent that another vehicle was needed and so a 32 seat MAN coach was quickly added for the second year. Quickly gaining a reputation for good service at a reasonable price Littles began to take passengers all over the UK and overseas. Next came the purchase of Littlesbuses first large coach a 53 seat Leyland Tiger and a new era was about to begin as Littlebus entered a new market. 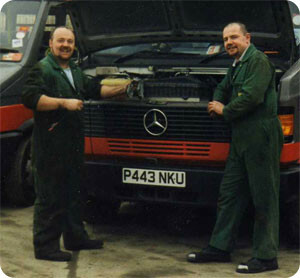 In 1993 as Littlebus expanded further a link up with Paul Wright and Steve Wells began as they were given the task of maintaining and repairing the fleet through their coach repair business Midland Fleet Maintenance. With the combined efforts of these two businesses Littlebus was able over the next few years to expand to a fleet of 10 vehicles providing transport for Bilborough College Students and numerous schools around Nottingham and Derbyshire. 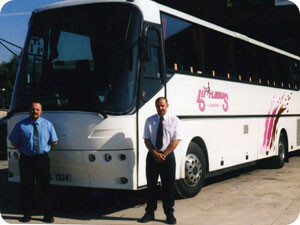 In 1997 Little Transport Ltd was formed with Iain Little, Paul Wright, and Steve Wells the director. Because of the profile of the coach fleet it was decided that the Littlebus would be replaced with Littles Travel as the trading name. In 2004 Littles Travel purchased its first new vehicle a Bova Futura signalling once more its intention to become one of Derbyshires major independent coach operator’s whilst still retaining its customer care ethic. In 2005 Iain and Kate Little finally left the business for retirement in France leaving Paul Wright and Steve Wells the sole directors but safe in the knowledge that their reputation and business they had built up would be maintained in the future. Having helped Wrights Coaches with their engineering requirements for the last ten years when the opportunity to buy the company arose in March 2008 it seemed only natural to do so. Wrights Coaches has operated in Keyworth for the last 80 years and when the owner decided he wanted to retire the decision was made for Littles Travel to take over the business. 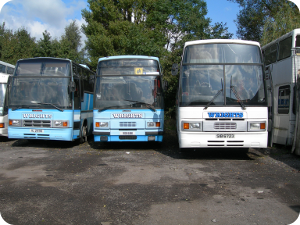 Although Wrights Coaches had a loyal group of regular customers the fleet of vehicles had seen little investment in recent years. 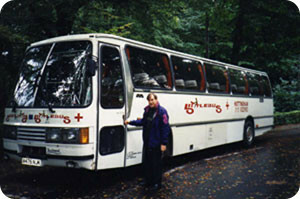 As soon as the takeover was complete Littles Travel transferred one of its 1998 Volvo coaches to the fleet. A number of the older vehicles were removed from service and all the administration and bookings were dealt with from the head office at Ilkeston. Over the last 12 months Wrights Coaches have had the benefit of being able to call on the Littles fleet when required and now any type of work (Executive Hire, Tour work, Continental Work) is undertaken. In July 2009 Wrights Coaches has added to its fleet a 06 Reg 53 seat Air Conditioned Daf Marcopolo (complete with new livery) and also a 70 seat Volvo B10M coach. Over the coming years it is our intention to continue to invest in the fleet and hopefully regain the position in the coach industry that a long standing company like Wrights Coaches deserves.